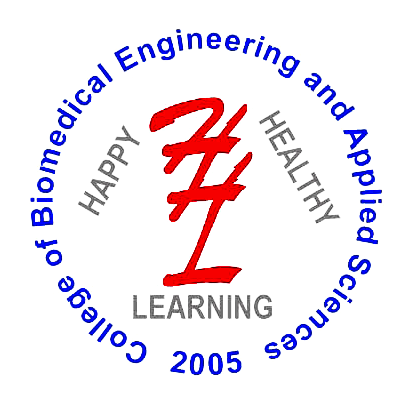 The Bachelor’s level program in Biomedical engineering is a four-year program which offers the qualifications for employment in the high-tech BME engineering profession, and/or continuation of studies towards higher degrees. This program provides the students with a fundamental and deep background in basic sciences, and a broad understanding in engineering, life sciences and medicinal sciences disciplines, and integration of the knowledge acquired in the project courses. The curriculum has been developed such that the graduates from CBEAS will not only be able to work independently in Nepal but also will be received well in countries abroad. The syllabus has been prepared after thorough study of curriculum of the same course provided in various universities. The need to teach various courses as per existing curriculum of Nepalease universities was also taken into account. The curriculum mainly focuses on the immediate absorption of the engineers produced by this college in the Nepalease as well as foreign industries. It will also be very beneficial to students who want to pursue an advanced degree in the field.